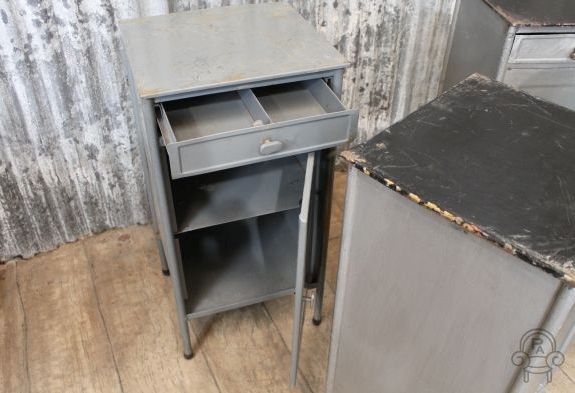 Please note this listing is for one of our industrial bedside cabinets only. 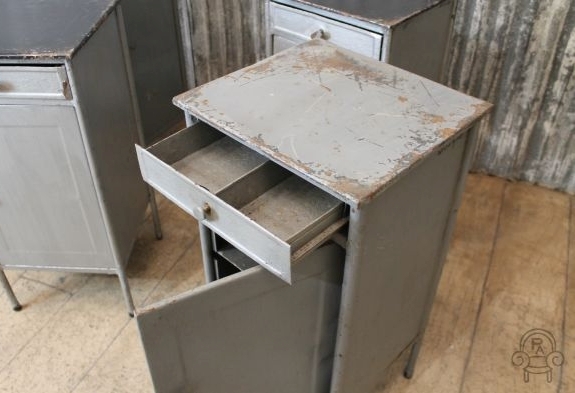 These great industrial bedside cabinets were formerly used in a German military base. 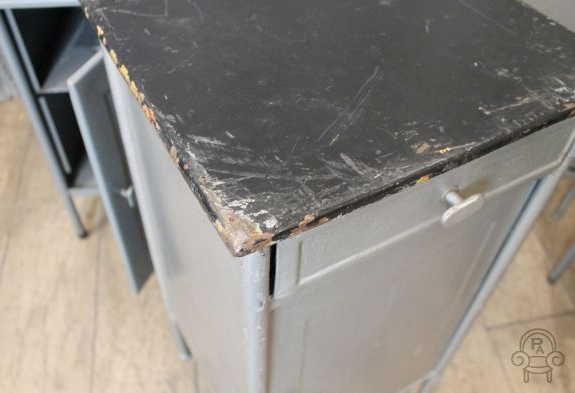 As you can see from the photographs some of the cabinets have been repainted but do still demonstrate some blemishes and marks to the finish, we feel that this only adds to their authenticity and charm. 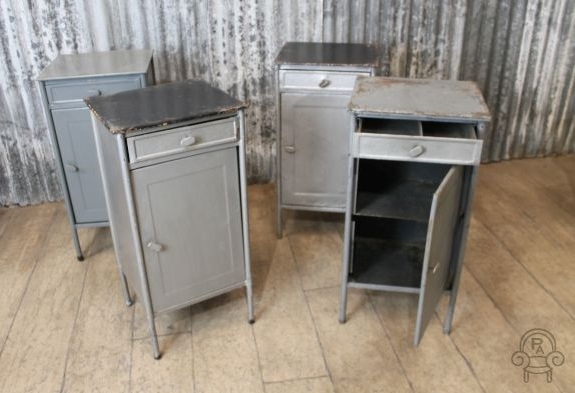 These vintage industrial bedside cabinets could easily be repainted to suit any taste, or stripped back to the bare metal for that classic vintage urban look. 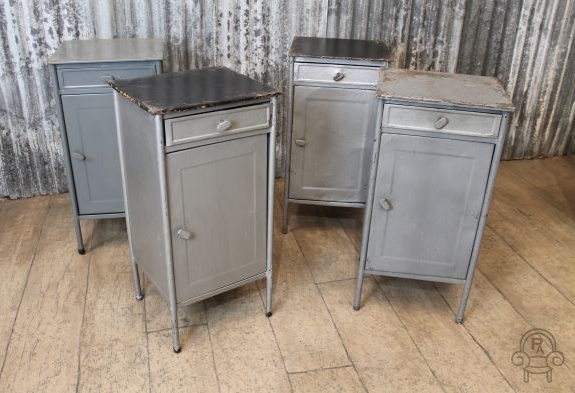 Please do not expect a brand new item of furniture when buying one of these cabinets, they are over 60 years old and have been in daily use; their robust construction has stood the test of time. 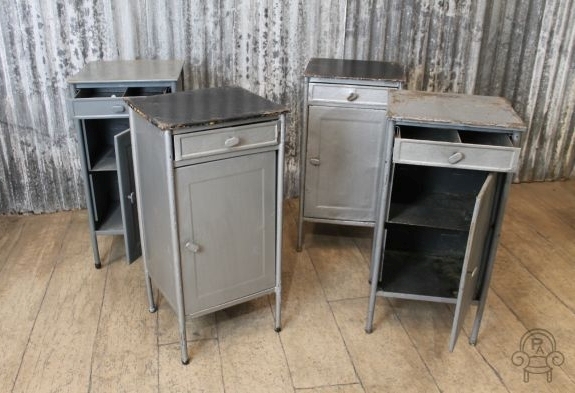 Please note these vintage industrial bedside cabinets are being sold individually.